Copyright, 1892, G. W. Voters. Words by Belle Hunt. Music by Bexie. Peach blossom time, peach blossom time. Soft as the light, fair and so bright. Of rose, tint and white, rose, tint And white. Of hands not divine, of hands not divine. Of peach blossom time, peach blossom time. 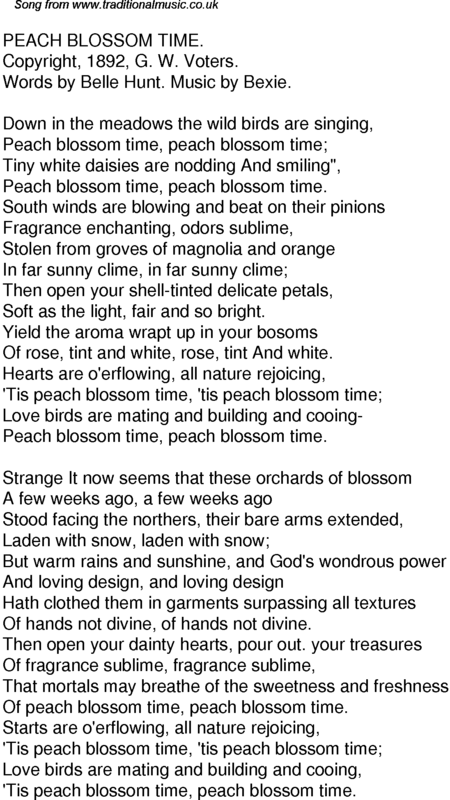 'Tis peach blossom time, peach blossom time.